more imaginatively than the orchestrations by Robert Russell Bennett for South Pacific. 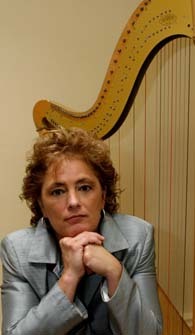 Michelle enjoys an extremely active career as an acclaimed harpist. Since 1977, Michelle has played thousands of professional engagements. She has performed for the Queen and King of Thailand, the Grand Duke and Duchess of Luxembourg, former President Jimmy Carter, Academy Award winning director Francis Ford Coppola, rock legend Sammy Hagar, and former SF 49'er quarterback Steve Young. Although Michelle is an alumna and former faculty member of San Francisco Conservatory of Music, where she studied classical music with Marcella DeCray, she is also an award winning "pops" and jazz harpist. Her instrumental styles are diverse and extensive, ranging from Bach to Cole Porter; rock to new age. Michelle is also a composer for Omni Music in New York. Her original music compositions have been used on television, radio, and in motion pictures. She has worked with big bands, vocalists, instrumentalists, and recording artists, including, among many others: Frank Sinatra, Sr., Ann Margaret, k.d.Lang, Tony Bennett, Tom Jones, Gladys Knight and the Pips, The Temptations, Juliet Prowse, Rudolf Nureyev, Linda Ronstadt, Stevie Nicks, Sheryl Crow, Norton Buffalo, Joni Mitchell, Trisha Yearwood, and Henry Mancini. She was casted as the wedding harpist in the Sony Pictures' movie, "Rent." Whether it be wedding music for your ceremony, wedding music for your reception, or wedding music for your rehearsal dinner, Michelle can provide harp music as a solo harpist, or accompanied by flute, cello, or violin duet or ensemble musicians. Tailored to the event, classical flute or violin and harp are beautiful accompaniments for your ceremony or other event, while soprano saxophone and harp are fabulous for your lively, "jazzy" wedding reception. Most recently, Michelle has been working on harp and violin duets with Wieslaw Pogorzelski, an amazing musician, composer, and music producer. His performing credits include assistant principal viola with the Warsaw Philharmonic, the San Francisco Symphony and the San Francisco Opera. Mr. Pogorzelski is the co-founder of the New Century Chamber Orchestra and Stratos. He received his Masters degree from the Warsaw Academy of Music and continued postgraduate studies at Indiana and Boston Universities. A few of their sample mp3s can be found here. Whatever music you require - whether it be wedding music, or event music for a fund raiser, event music for a reception, event music for a birthday party, event music for a retirement party, harp music for a memorial service or funeral service, even harp music for a simple afternoon tea or holiday affair - Michelle can provide the event's musical accompaniment. Many more samples are here. For outdoor weddings & other private or public engagements, Michelle frequently uses a Camac electro-acoustic harp. Every string on this harp has a pickup or small microphone. This allows the harp to be heard clearly in venues seating 500 people or, in contrast, at venues with just a few people. It can he heard as an intimate background instrument. At large venues and at outdoor functions, a traditional acoustic harp may be difficult to hear if not amplified. Michelle believes that her clients are entitled to professionalism, punctuality, courtesy, and above all, the ability to hear the music for which they are paying. There is no extra charge for using the Camac electro-acoustic harp and its amplification system. For over twenty years, Michelle has been teaching harp to students ranging from kindergarten through adult; from beginning to advanced. 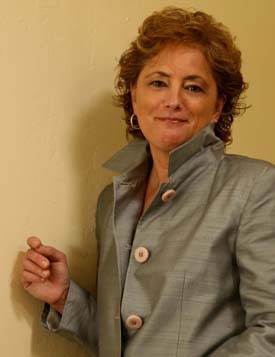 She is an alumna and former faculty member of he San Francisco Conservatory of Music. If you are seeking a harp teacher for any area of harp study, whether it be classical, pop, jazz, or composition, Michelle welcomes your interest. She gives individual harp lessons in her private studio in Marin County, California. "Midnight Waltz in the Rain"
"Michelle's playing on the harp is impeccable." "Your musicianship is tremendous and your professionalism very much appreciated - it was a joy working with you." Michelle's Latest Album "Dancing on Air"